This in from the TACNY mail list. Next 29 hours may be a bit too busy for additional posts, so performing the very rare double-morning posting today. TACNY members have multiple opportunities to participate in Solar Eclipse Viewing Parties on Monday! * On Monday, August 21 from noon to 3pm, the Milton J. Rubenstein Museum of Science & Technology (MOST) will host its FREE annual Summer of Science Social outside on the MOST lawn. This year’s event will feature the partial solar eclipse, which will begin at 1:17pm and reach its maximum at 2:38pm. Join the MOST for a day filled with fun science activities and demonstrations with MOST educators, SUNY Polytechnic Institute and OCRRA. * The most spectacular celestial event any one can experience is a Total Solar Eclipse. Southern Cayuga Planetarium will show live video feeds of the event (on the dome) on Monday August 21, from noon to 5pm. Near the Planetarium entrance a Solar telescope will follow the partial eclipse if clear skies prevail. 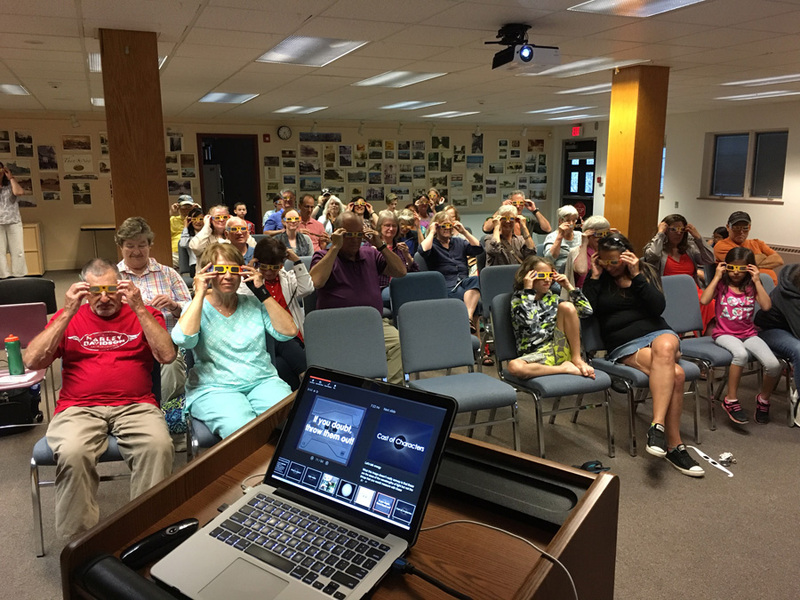 The Program will include live feeds from NASA TV and other sites, explanations of observable phenomena, and feature total eclipse stories by Alan Ominsky and others. * CNY Observers and Observing will be hosting observing sessions at the Liverpool, Marcellus, and Jamesville libraries from 1 to 4pm. Click here for more information. Remember, if you miss this eclipse, the next one is in 2024, and Central NY is in the totality path!